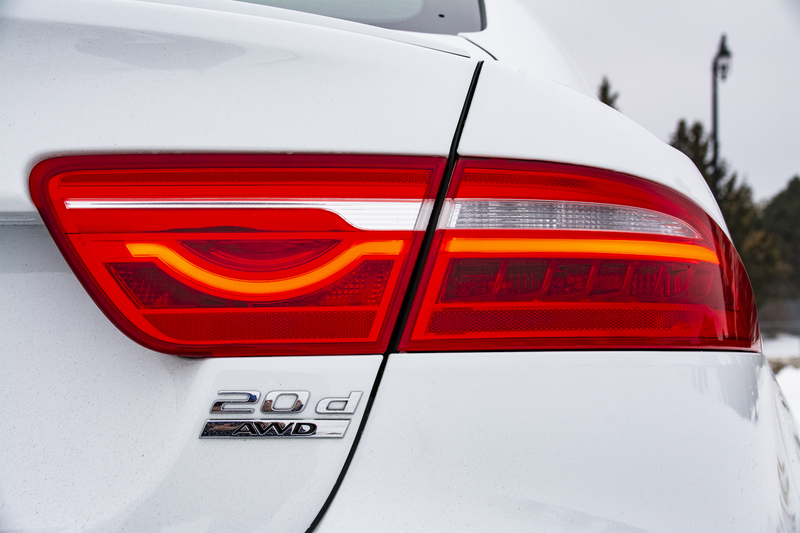 The new 2020 Jaguar XE “…delivers an enhanced exterior design, all-new luxurious interior and advanced technologies,” according to Jaguar. 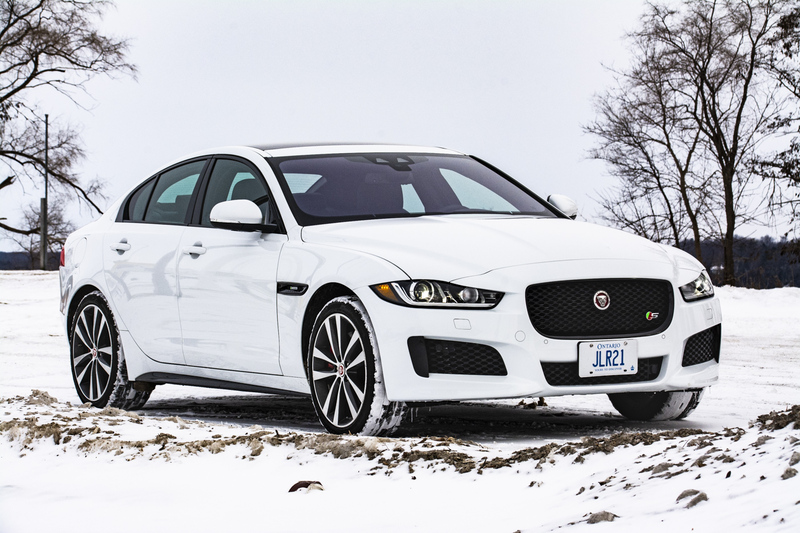 We have not driven one yet, but we have driven the 2018 Jaguar XE 2.0d Diesel All-Wheel Drive R-Sport in Fuji white and the 2018 Jaguar XE 380 All-Wheel Drive S R-Sport, also in Fuji white. We were able to test their AWD prowess and performance in the dead of winter in cottage country north of Toronto. Both easily handled whatever Mother Nature threw at them. As the name suggests, the 2.0d is powered by a 2.0 litre inline 4 cylinder Ingenium diesel engine. What it lacks in horsepower (180 hp) it makes up in pound-feet of torque (318 lb-ft). 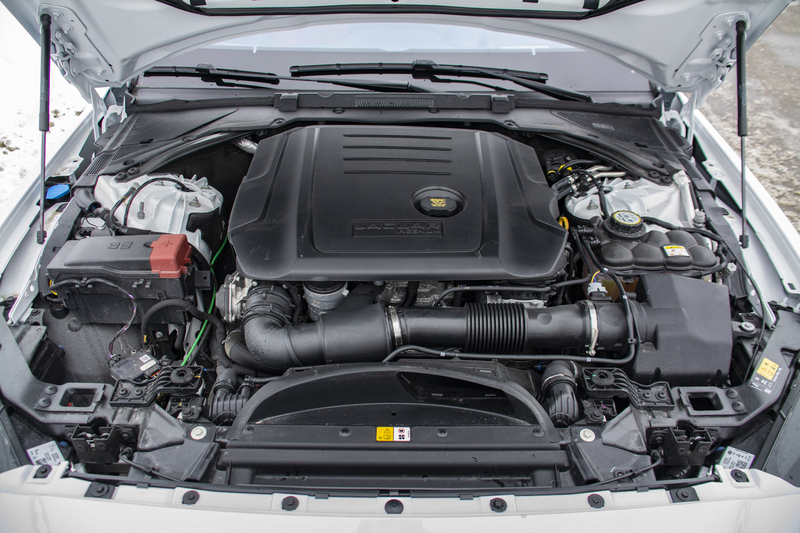 The diesel power plant drives all four wheels via an 8-speed automatic ZF transmission. To say our 2.0d was well equipped would be a bit of an understatement. The base prices is $54,500; our tester had $14,160 in options, and it showed. Very few bells or whistles were missing. Add in a $1,600 delivery charge and the total price was $70,260 plus fees and taxes. Our car was equipped with optional 19” rims ($1,530) with 225/40 x 19 up front and 255/35 x 19 in the rear. 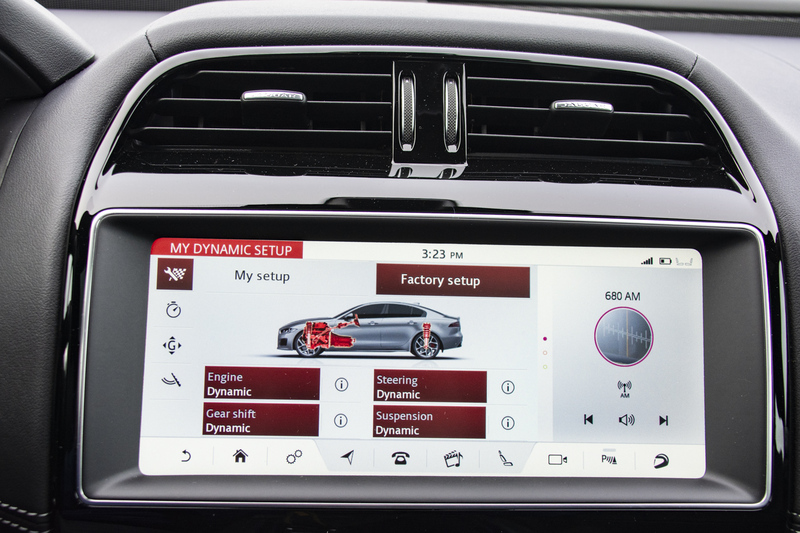 Individual options included Heated Front Windscreen ($410), Bright stainless steel pedals ($260) and Head-Up Display ($1,020). Optional packages included Comfort and Convenience Package ($2,150), Driver Assistance Package ($3,420), Technology Package ($3,170) and the Black Package ($360). Our XE S was powered by the most powerful engine available in the XE range, a 3.0 litre Supercharged V6 that pumps out 380 hp and 332 lb-ft of torque. The base price is $61,500 and our car was equipped with $4,400 in options. Add in the $1,600 delivery charge and the pre-tax total is $67,500. The automatic 8-speed ZF transmission drove all four wheels which were fitted with the option ($510) 19” rims with 225/40 x 19 tires up front and 255/35 x 19 in the rear. 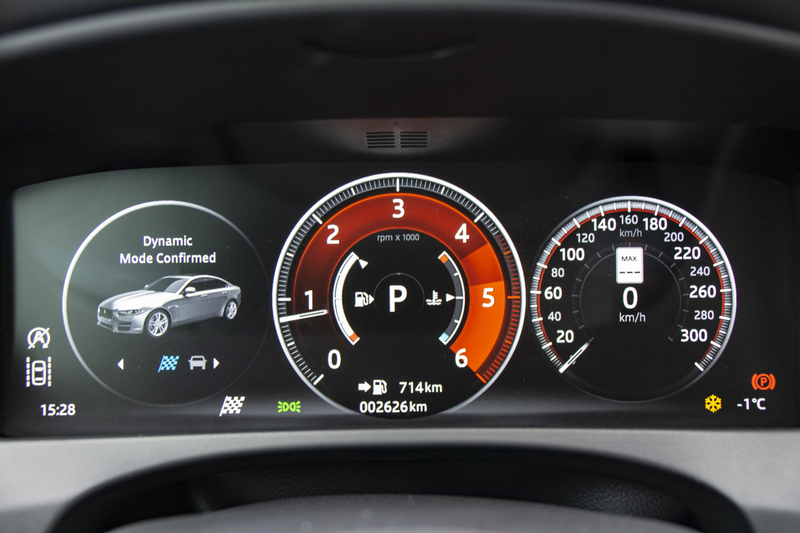 Our car was also equiped with a Heated Front Windscreen ($410) and the Technology Package ($3,170). Both cars came with British satnavs that could direct us to the nearest Petrol Station, Chemists or Car Hire. 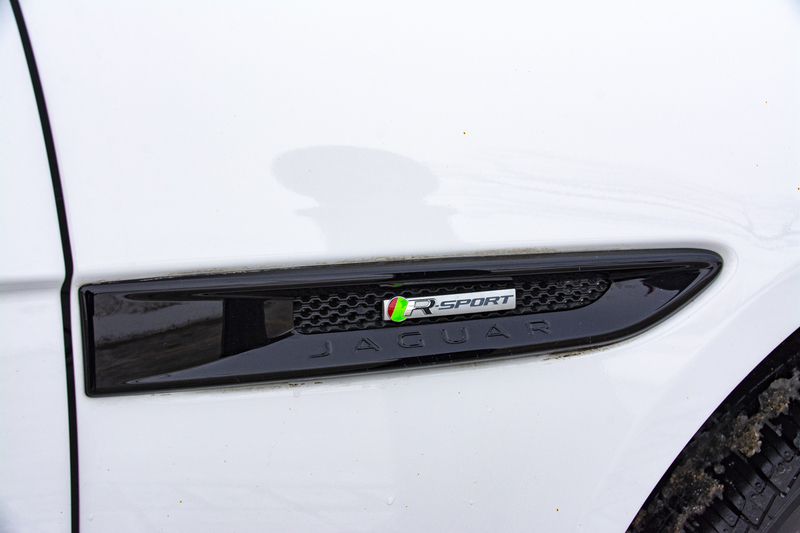 The Jaguar AWD system features Torque Vectoring by braking. 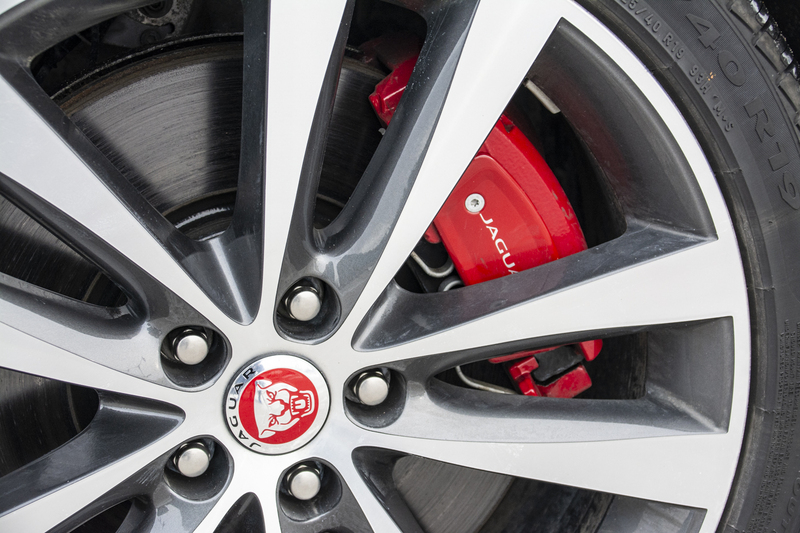 Torque Vectoring improves the XE’s cornering capabilities by applying the brake individually to the inside front and rear wheels to assist the cars turning forces. More braking pressure is usually applied to the rear inside wheel with additional braking pressure added to the front wheel to help the car pivot. Front-wheel drive and all-wheel drive cars are susceptible to understeer (turning the steering wheel while cornering and not achieving the desired turning response). Torque Vectoring helps reduce understeer and provides for a more satisfying performance turning and steering experience for the driver. It delivers a more sports car like handling experience as well as increased driver confidence. 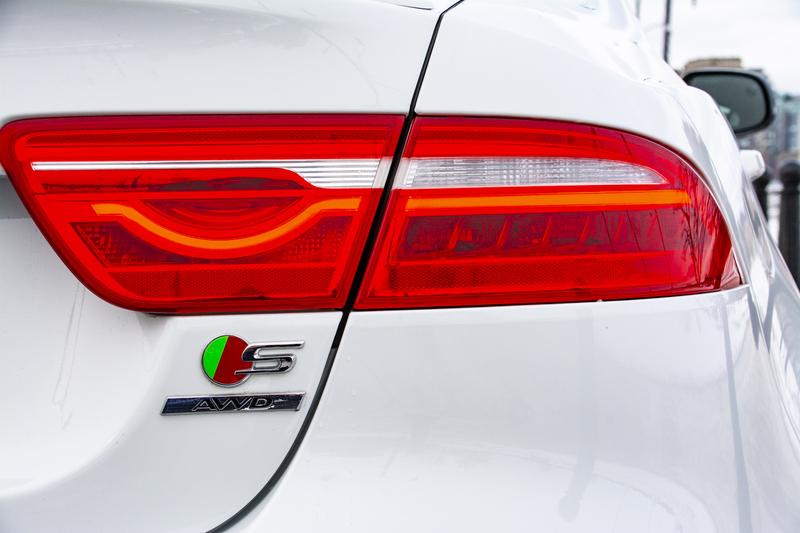 Our 2.0d was equipped with Jaguars very refined Adaptive Cruise Control. The system uses radar technology to adjust the cars speed based on the distance to the car in front. Once you set your desired cruising speed, the car will slow down and speed up based on the predetermined distance to the vehicle in front of you. If the car you are following comes to a complete stop, the Queue Assist function will bring the car to a stop. Once you are clear to proceed, simply touch the gas pedal and you will accelerate back to the desired cruising speed as the road in front of you becomes clear. 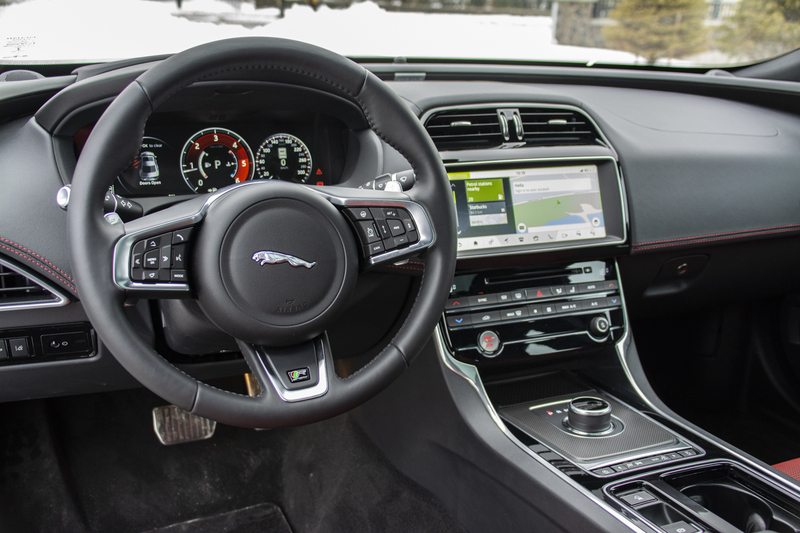 Jaguar’s ACC is quite refined and delivers a very smooth driving experience, unlike some of the more basic ACC’s which apply the throttle and brake in a much more abrupt manner. 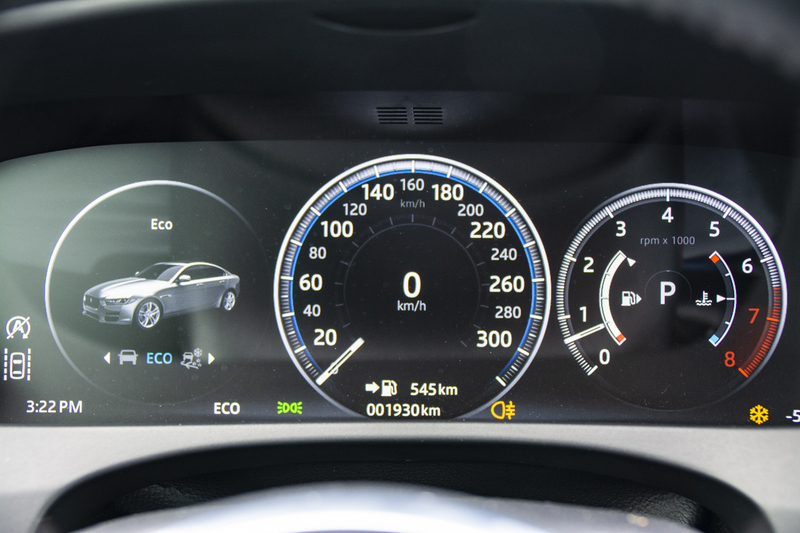 Our XE S had four driving modes; AdSR, Eco, Normal and Dynamic. Intended for use in adverse driving conditions (i.e. snow covered roads), the AdSR (Adaptive Surface Response) is designed to monitor road surface conditions to achieve maximum grip by adjusting the engine and brake settings. 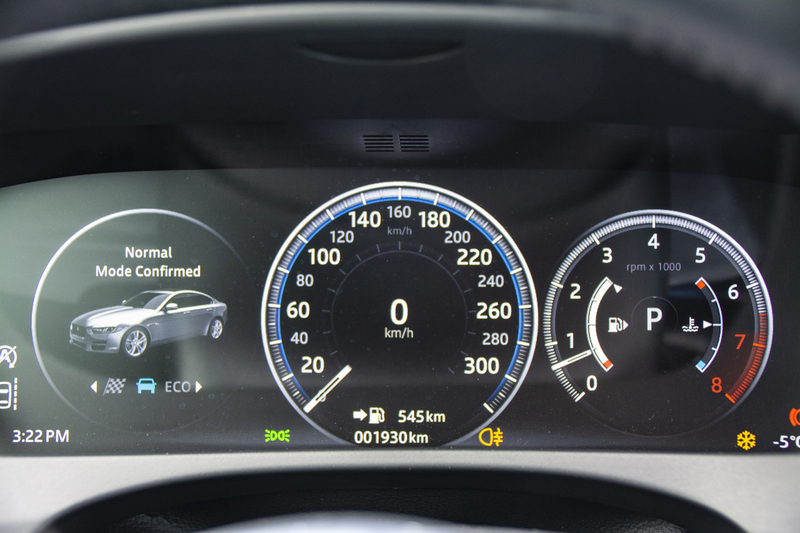 Eco mode reduces available power and works hard to get the car into the highest gear possible to increase fuel economy. Normal mode is a nice middle ground for every day city driving providing a refined ride, sufficient performance and handling. Dynamic Mode is the fun mode. 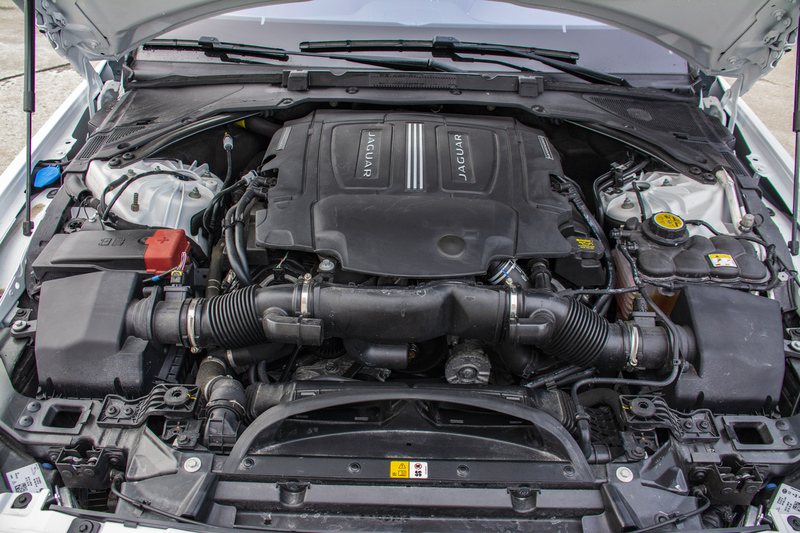 The car’s software sharpens the throttle response, increases steering weight, delivers quicker gear changes and holds each gear longer to get higher up the rev range to access the cars 380 horsepower. The icing on the cake is watching the tachometer slide over to assume centre stage on the dash, which then glows an orange-red hew. With so many capable all-wheel drive cars available, it is great to know that driving an SUV in the winter months isn’t a must. 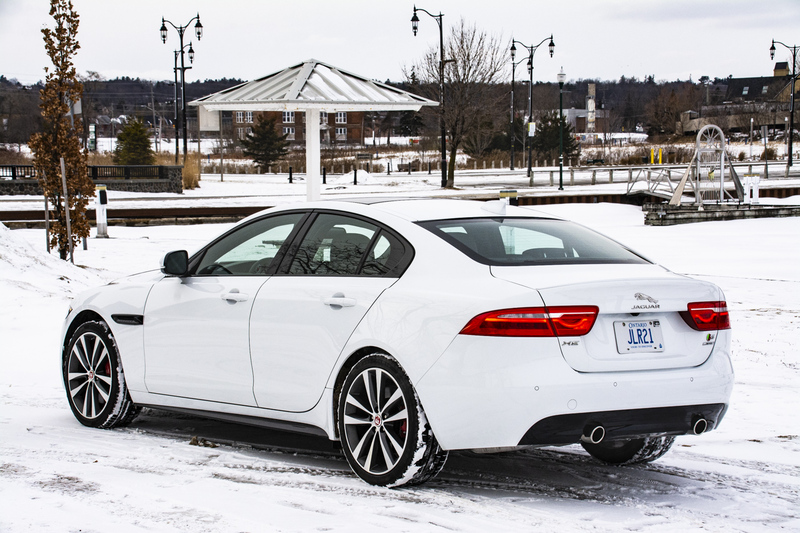 The XE is the entry level Jaguar but it certainly doesn’t feel like it. From the moment you sit in the car, you get a sense that you are driving in a premium environment. In the XE S, once the supercharged V6 engine is fried up, it feels like a premium performance environment as well. With a 5.2 second 0-100 km/h time and all the right sounds coming from the exhaust, it is a very rewarding car to drive. The 2.0d diesel really shines in these slippery condition as well. Its lack of horsepower isn’t noticed because at relatively slow speeds, it’s the 318 lb-ft of torque (which is available from just 1,750 rpm) that keeps the tires spinning, and your face grinning. In these wintery driving conditions, both of these Jaguar snowmobiles prove to be a fun and entertaining way to beat the winter blues. PHOTOGRAPHS, ARTICLE AND VIDEO © COPYRIGHT 2019 TRACKWORTHY GROUP LTD.